The European Parliament adopted a resolution on Burundi this July 12. It builds a rather bleak picture of the situation prevailing in Burundi. Bujumbura government speaks about slander on the country. It is a serious charge. The European legislature expresses its deep concern about permanent impunity, summary executions, torture, enforced disappearances and arbitrary detentions. The assessment of the crisis that began in 2015 is alarming. The European parliament refers in particular to 1, 67 million people in need of humanitarian aid and more than 410 thousand refugees. For the European parliament, it is out of the question to resume direct financial aid. Sanctions must be maintained. A thaw is only possible if there is the rule of law and democracy. The European Parliament goes further. It calls for the suspension of any additional payments to Burundian contingents engaged on UN and African Union peacekeeping missions. According to this resolution, the essential way to reinvigorate the inter-Burundian dialogue, which has so far remained deadlocked, would be an urgent resumption of inclusive talks without preconditions. The draft resolution was submitted to the parliament on 5 July. The debate on this draft took place at the end of last week in the European Parliament. Deputies, like the Belgian, Louis Michel backed it strongly. The European Parliament ended up adopting the resolution. However, it remains for the EU executive to decide how far it wants to go in the consideration of this parliamentary proposal. In any case, Bujumbura condemns the resolution and says that these European parliamentarians who submitted the draft resolution are in bad faith and deny a clear improvement of the situation in Burundi. The ruling party CNDD-FDD says this resolution is just another proof of the support of coup plotters by some European executives. The latter have difficulty conceding defeat and spend their time denying the truth about the country’s situation. Based on the content of the resolution in question, the Senior Adviser to the President of the Republic speaks about animosity. According to Ambassador Willy Nyamitwe, one wonders whether the peace, security that prevail in Burundi are not likely to disturb some individuals who have given everything and invested in the destabilization of Burundi and who have difficulty recognizing that they went wrong in their analyses and that they simply failed. The first Deputy-Speaker of the National Assembly says that it is the power in place that gives substance to those who draft and adopt resolutions to its disadvantage. According to Agathon Rwasa, the arrests of those who voted no to the revision of the constitution are ongoing. 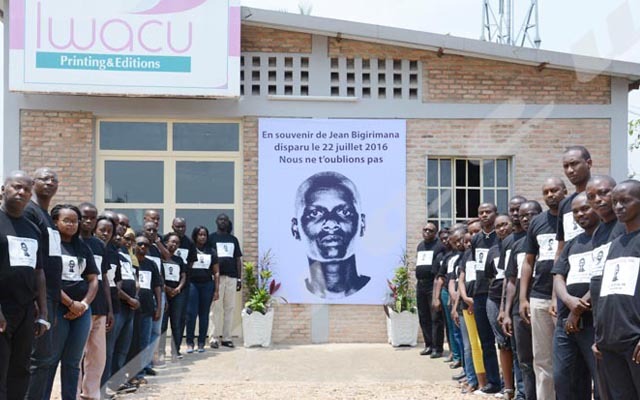 “Why compiling the list of those who have campaigned for no and proceed to arrests and intimidation while we say we live in a country where human rights are respected?” He believes that Bujumbura should focus on dialogue to resolve tensions with its partners. For the President of UPRONA party, it is first in the interest of international security that Burundian soldiers ensure peace especially in Somalia, risking their own lives. Abel Gashatsi calls on the European Parliament to recognize the improvement of the situation in Burundi and lend a deaf year to rumors and gossip. He calls on this European institution to help Burundi move towards the 2020 elections.